What is a pip? Please give me an example! 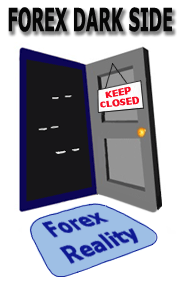 Pip in Forex is the smallest price change in currency exchange rate. Fore example, a current rate for EUR/USD = 1.4000. The last decimal place in the rate is the smallest change of the value of the EUR/USD pair. On the sreenshot we can see a chart of US dollar versus Canadian dollar (USD/CAD). The very last price bar shows that the exchange rate raised from 1.1865 to 1.1866. In other words, USD/CAD pair has moved up by 1 pip. Submitted by Beginner Trader on Fri, 07/23/2010 - 11:43. Submitted by Beginner Trader on Tue, 03/01/2011 - 13:54.
incredible explanation, Boss! I understand that now. Submitted by Beginner Trader on Wed, 05/18/2011 - 03:23. 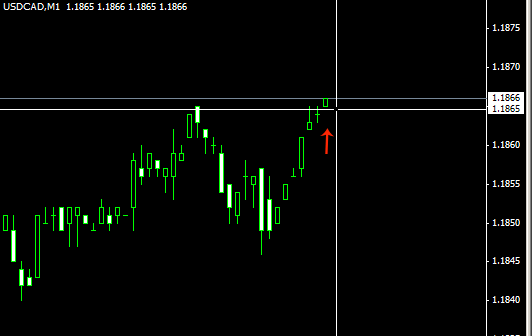 Submitted by Beginner Trader on Wed, 04/25/2012 - 19:47.